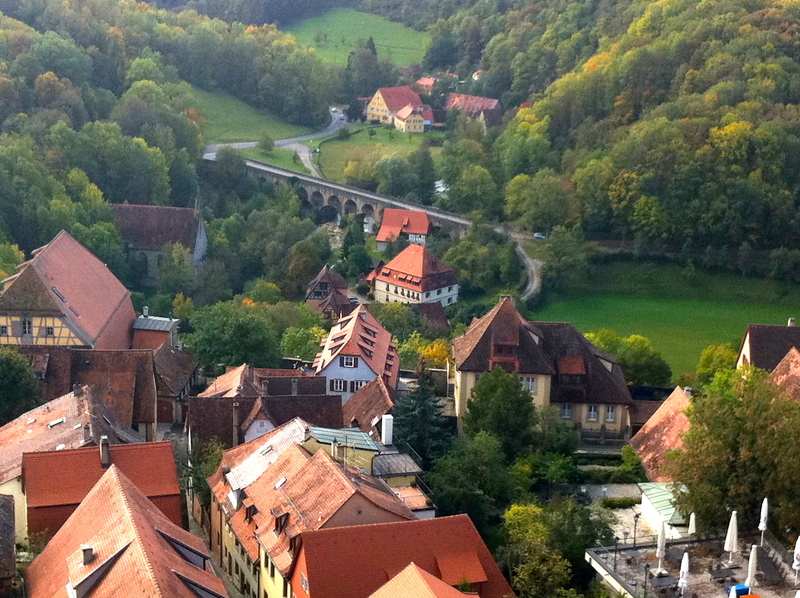 For this pre-Valentine’s Day travel post, a trip down the Romantic Road seemed fitting. This is the Germany of lore. Quaint, walled towns and fairy tale castles greet you at almost every stop along this 290 kilometer (180 miles) drive that begins a few minutes outside of Frankfurt and goes along the center of the country toward Munich. 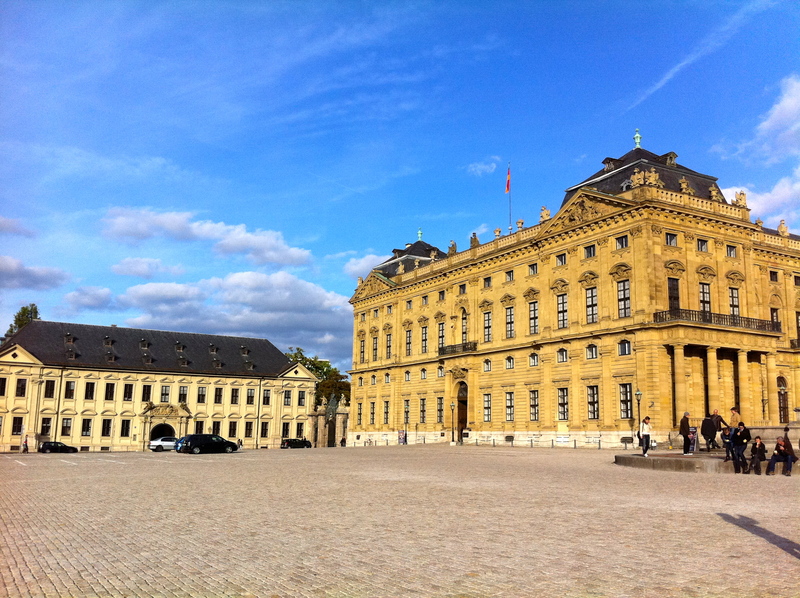 Driving from the north, it starts in Wurzburg, where you will be surrounded by opulence instead of the surreal feeling like you’ve stepped into the world of Disney. 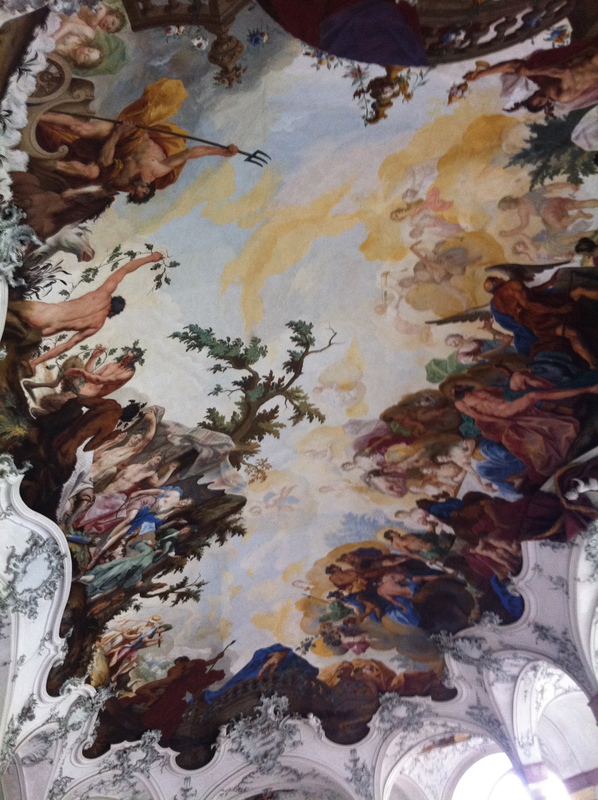 The Residenz, a French style palace decorated with Italian paintings (ceiling by Tiepolo), is stunning. There’s a crazy mirrored room that can only be visited through a tour (sneak into one if you don’t plan ahead). 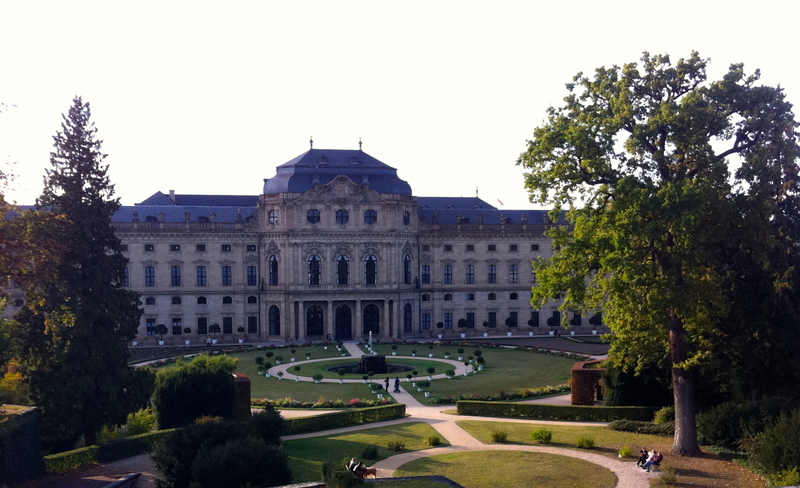 Outside, you can view the entrance that must have been used by visiting dignitaries in the past. 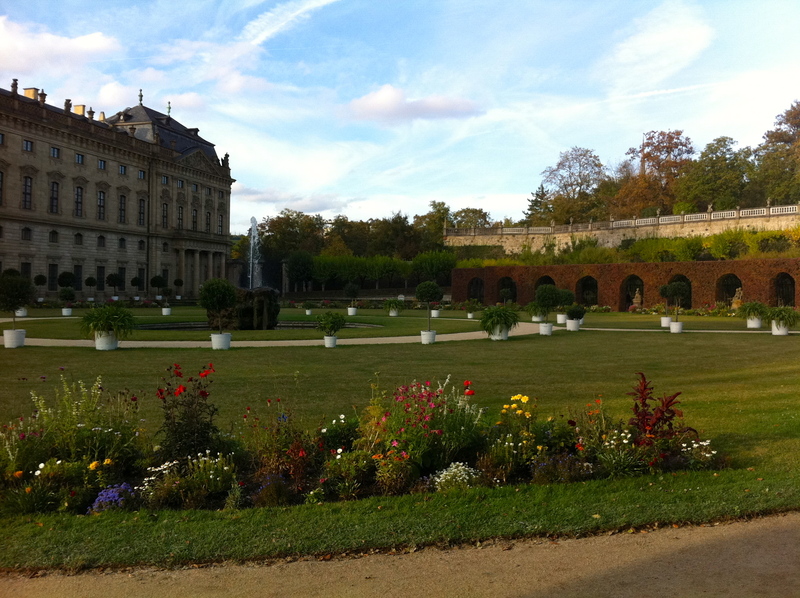 The gardens are perfectly manicured with triangular-shaped trees. Other trees are cultivated to grow over top of the aqueduct area. From there, the scenery changes dramatically. 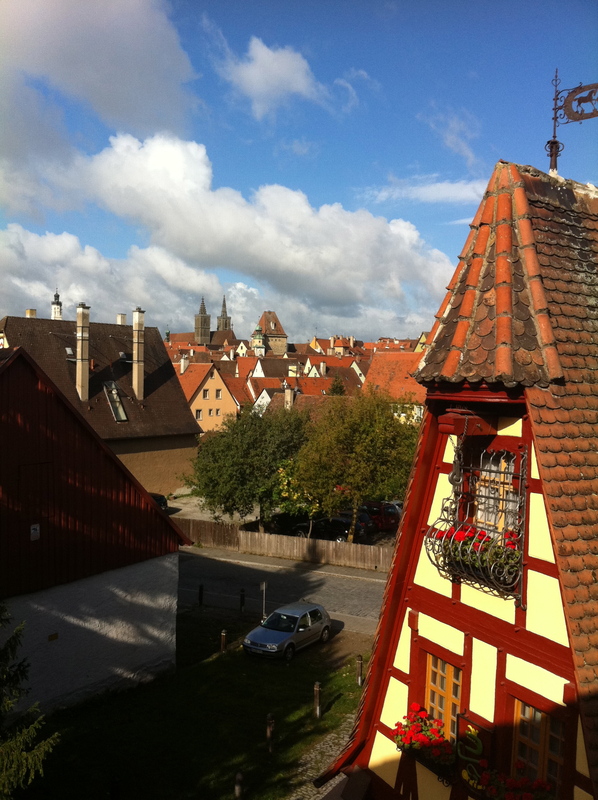 Drive south for about half an hour and stop in Rothenburg ob der Tauber — a must on everyone’s list. 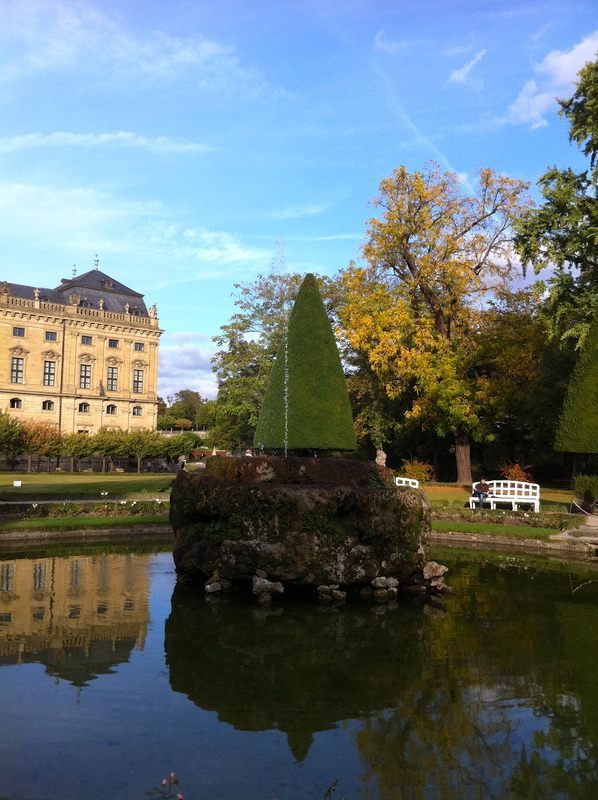 Walk along the ramparts, visit the museums and Rathaus. 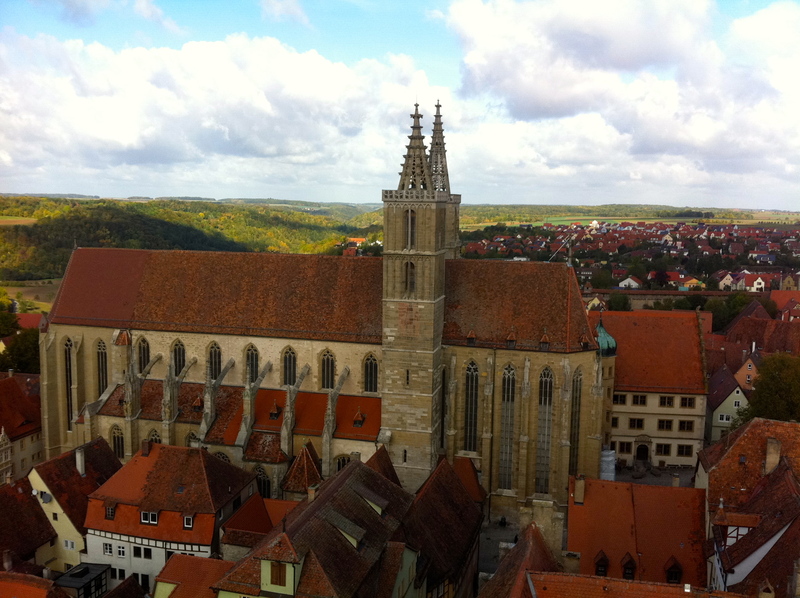 Climb its tower for a view of the town and the church. 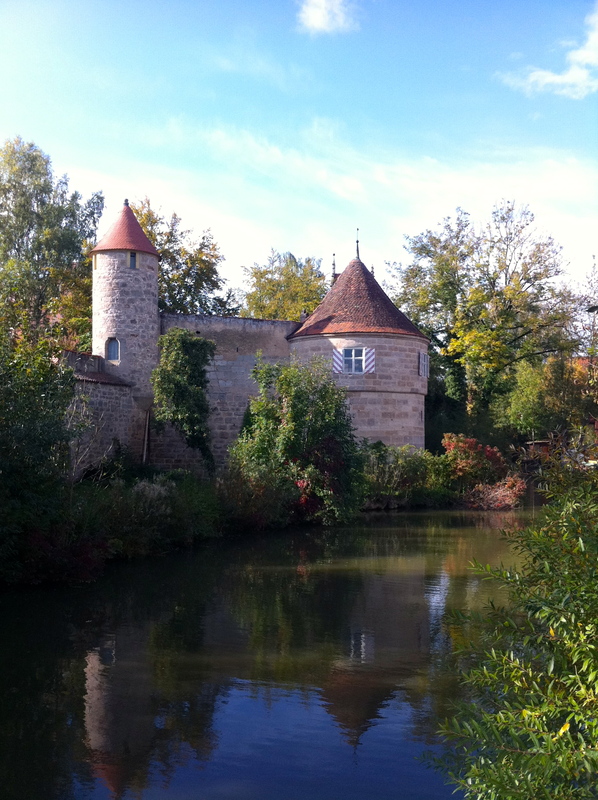 Enjoy dinner there with some local rabbit or pork knuckle and stay in a nearby castle if you can. 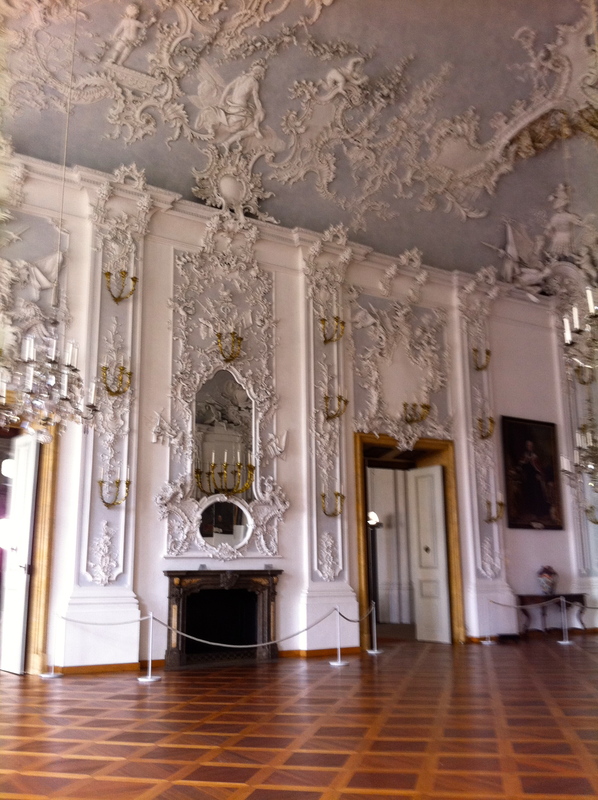 Hotel Burg Colmberg isn’t that expensive, but it might be a little creepy with all the taxidermy. Make sure to have a pretzel roll for breakfast. 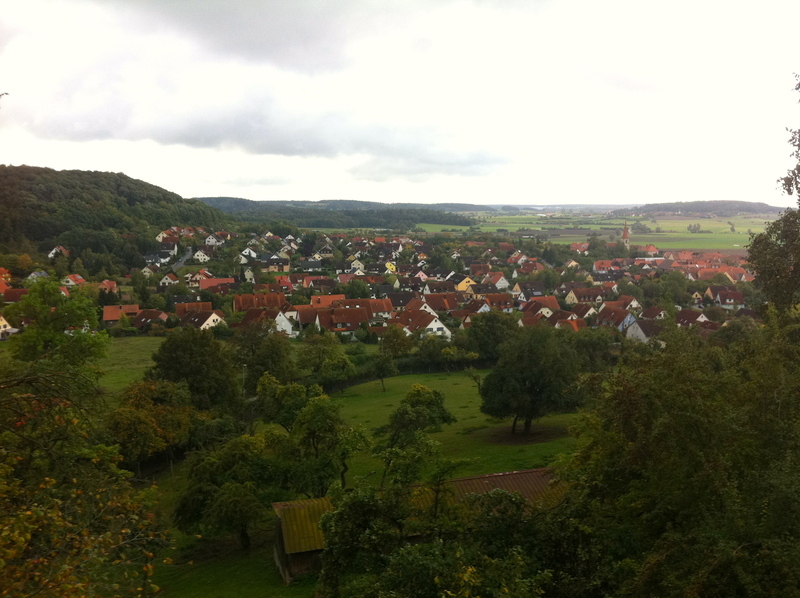 Along the way, you can check out the other towns of Dinkelsbuhl, Nordlingen, Donauworth or Augsburg. Tip: When stopping in the towns for lunch, make sure to time it right or you’ll end up with nothing but apple strudel to hold you till dinner time. Although that may not be a problem for some. The Romantic Road ends at the foothills of the Bavarian Alps in the town of Fussen. 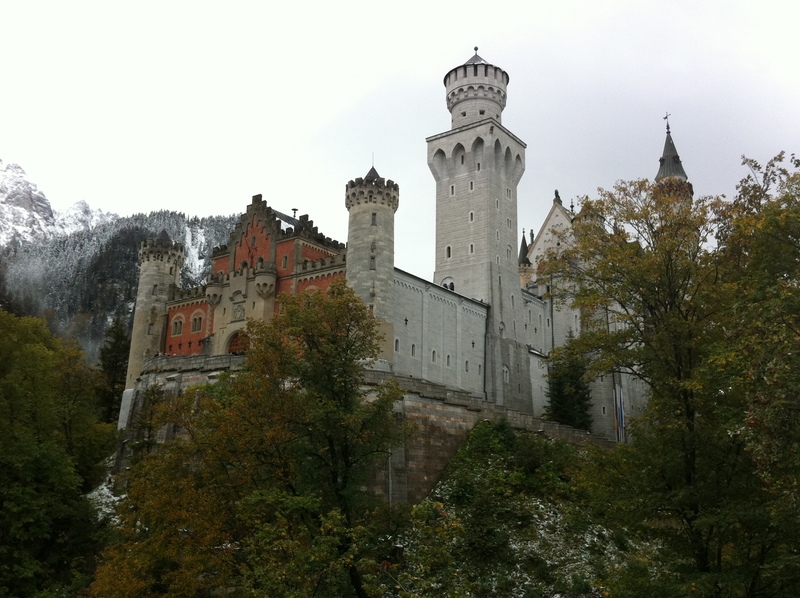 From there you will end your journey with a tour of the two famed castles: Hohenschwangau and Neuschwanstein. 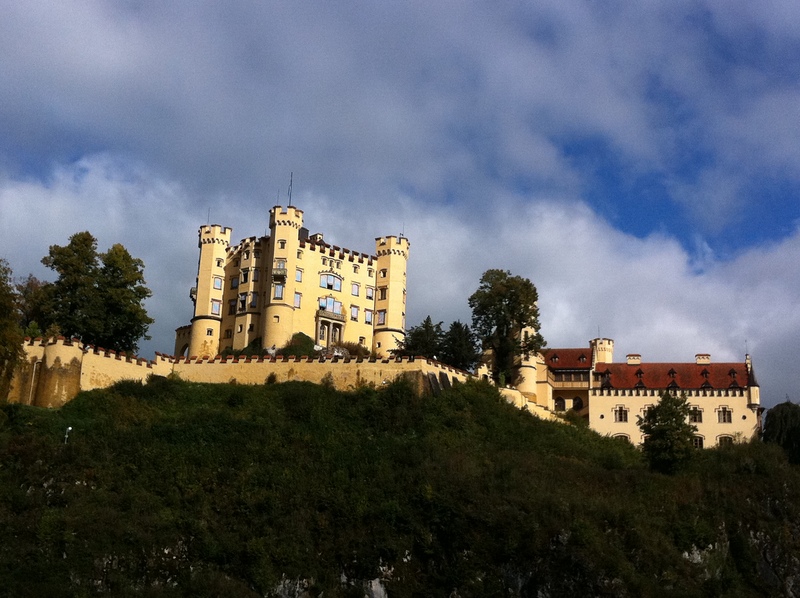 King Ludwig II grew up in the smaller one – Hohenschwangau. But this eccentric man wanted to have a giant place to hang out in…by himself. 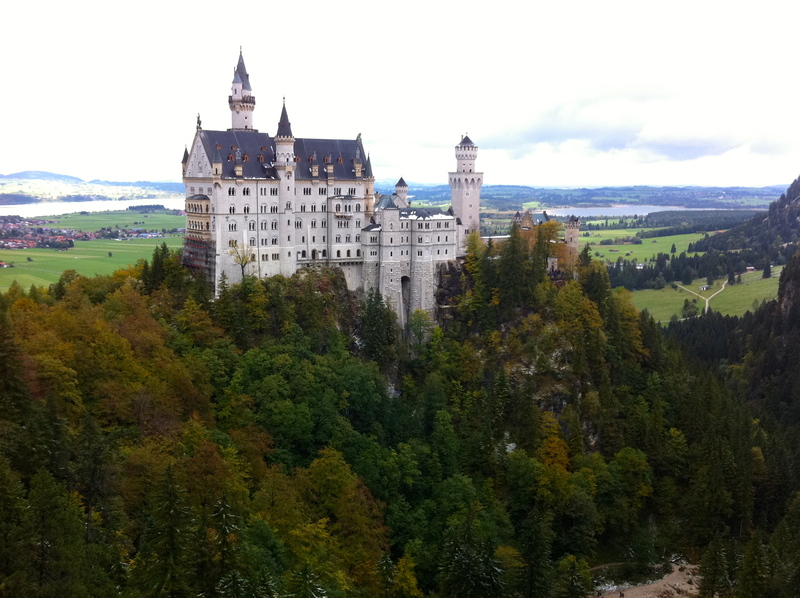 So he built Neuschwanstein, the castle that inspired Walt Disney’s Magic Kingdom. “Mad” King Ludwig, as he became known, is said to have drowned, but most likely was killed. I have a few theories as to what Ludwig really had going on, but crazy isn’t it…. 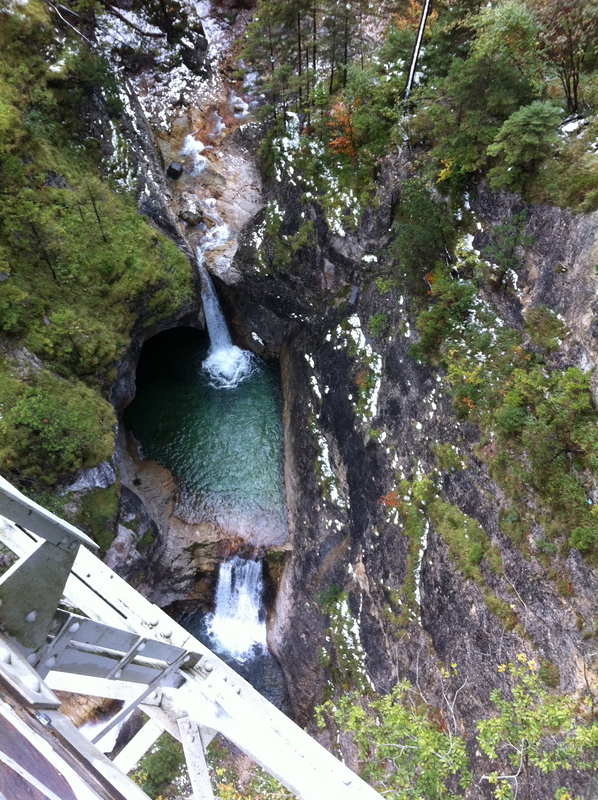 A bridge spans over the water, with a small fall. 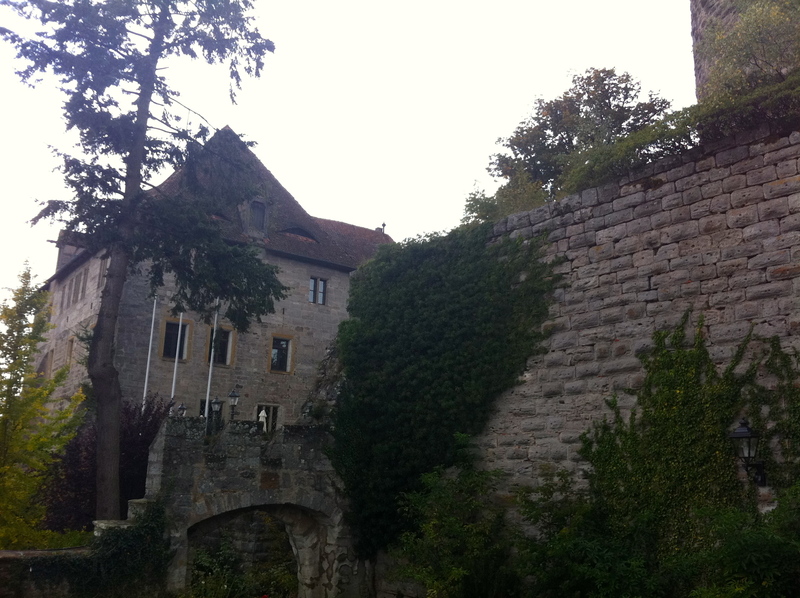 Here is where you will find the most amazing views of the castle. That is until the bridge collapses. Scariest thing I’ve traversed. 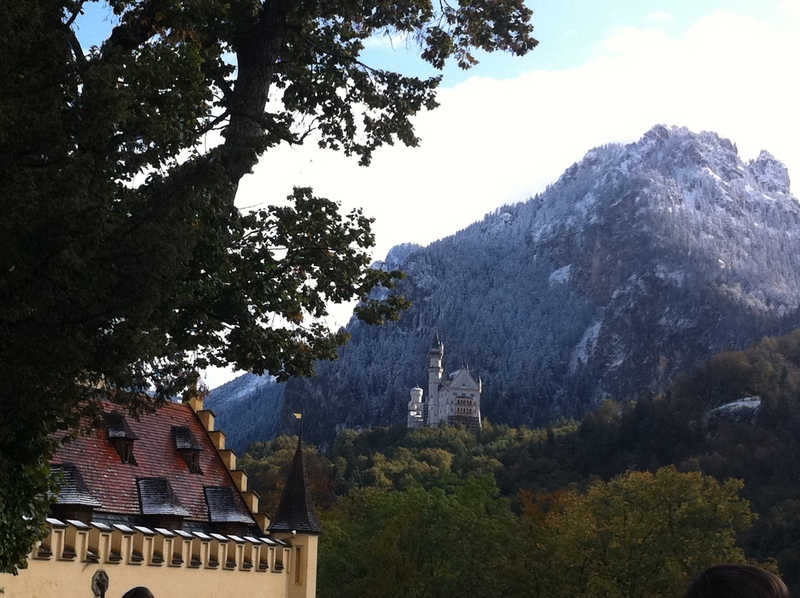 But the scenery is breathtaking in Fussen and around this area. If it’s in your budget, you can stay in this pricey hotel on the lake. NB: Both castles can be explored up close. You can either hike up their respective hills or use a horse and buggy, weather depending. Lines can be long to see inside, so factor that into your visit. Hiking the surrounding area may be more enjoyable. 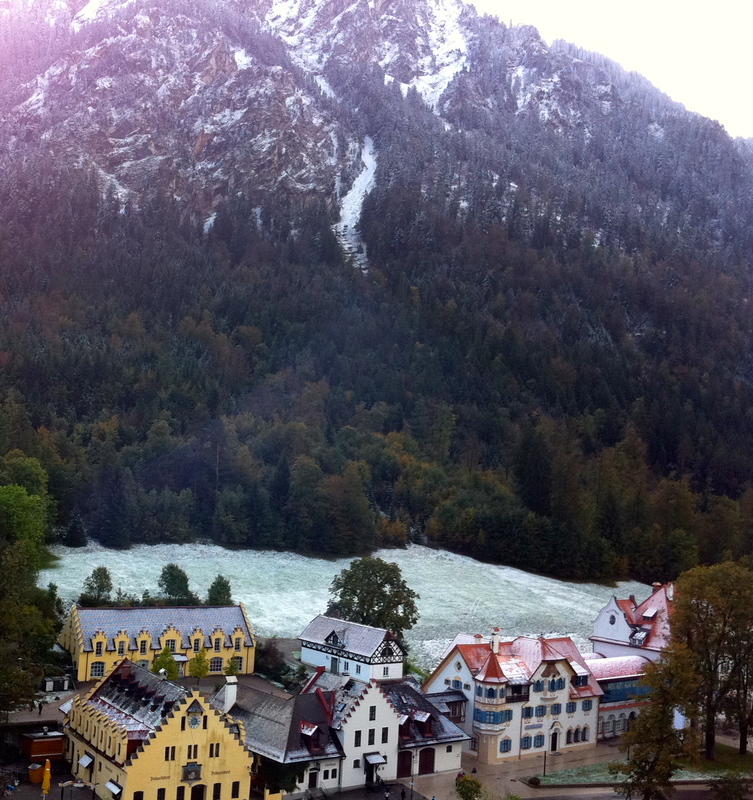 We visited in early October and saw the first hint of snow on the Alps. It was a little chilly, but spectacular.